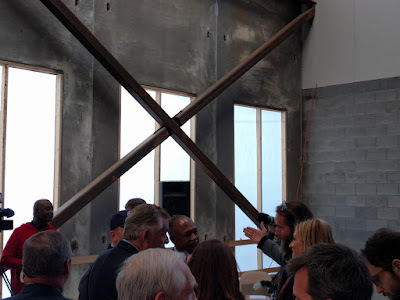 This past Friday I joined journalists, local and state dignitaries, and Stone Execs in a toast to the almost finished Stone Brewery Richmond. 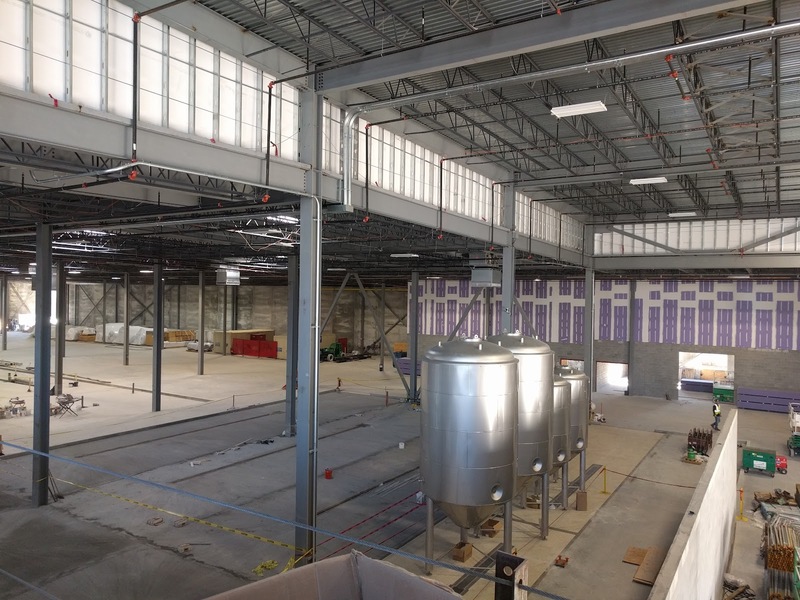 Since our last update, much has been accomplished at the 213,000 square foot facility: walls have gone up, roofs have been finished, and fermenters have been installed. 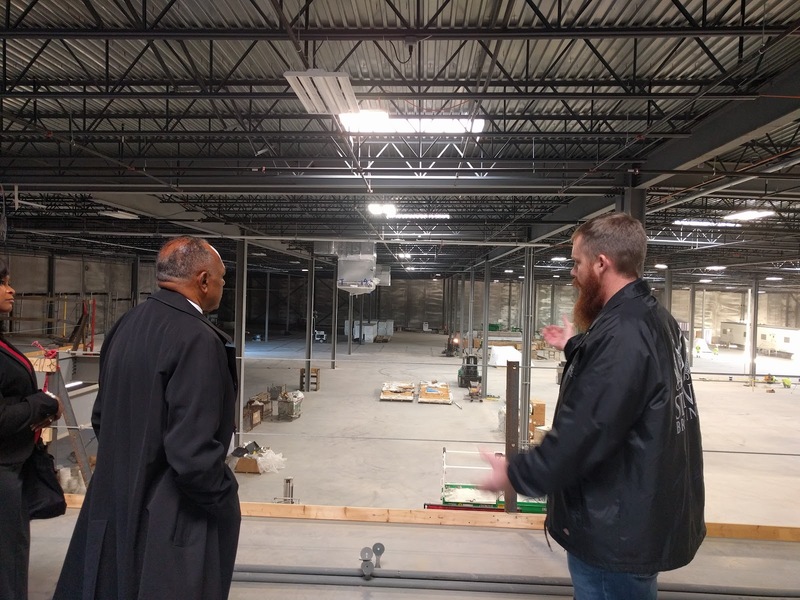 As far as I could tell, the only thing that stands in the way of a finished product is some insulation and drywall in the office/tasting room areas. 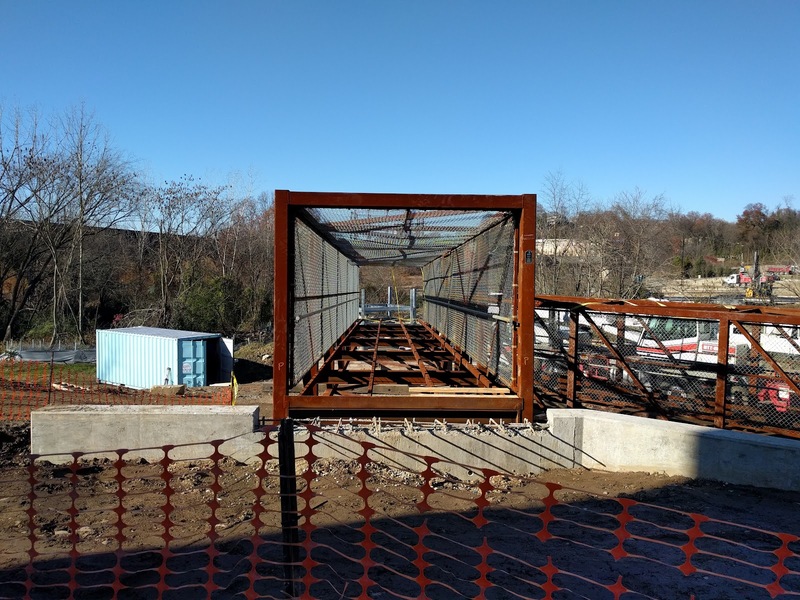 The above image shows what will be the visitors entrance to the brewery, leading directly into the tasting room/gift shop. The grand doorway will be topped with a massive circular glass window, emblazoned with the famous gargoyle logo. 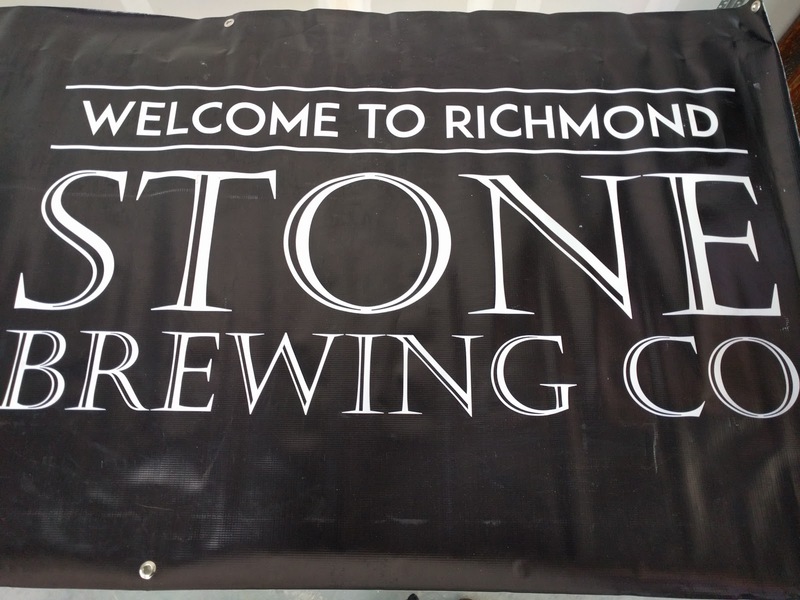 When Stone Brewing announced it's search for an East Coast location, there were 20 states and hundreds of sites competing. The decision to come to Richmond was announced in October of 2014, and the Governor stated in his remarks that there were 85 breweries in the Commonwealth; Friday, the Secretary of Agriculture updated that statement with the current tally, 135. The $74,000,000 investment in the Richmond area will add just shy of 300 permanent jobs. 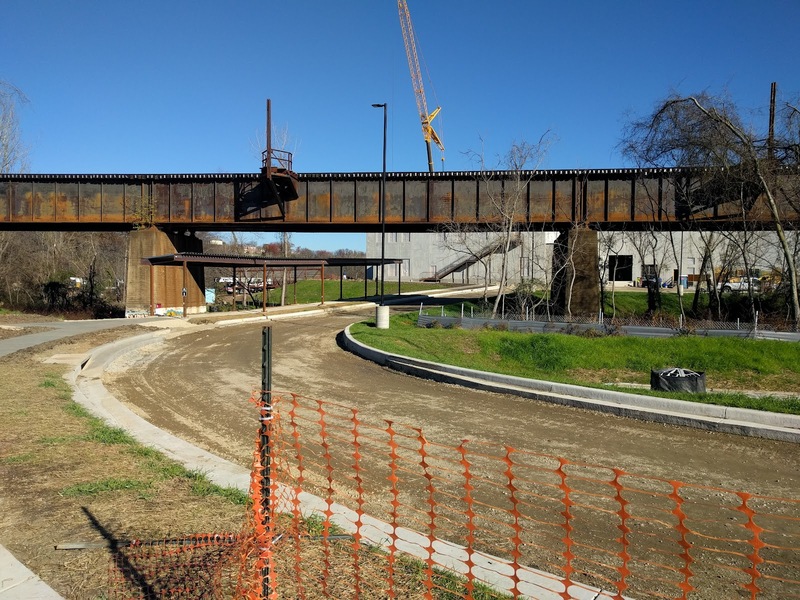 The complex will include lots of beautiful green space, the massive brewery, a restaurant, tasting room, gift shop, and more. Governor McAuliffe seemed to enjoy his statistics of the Commonwealth's exploding Craft Beer industry. 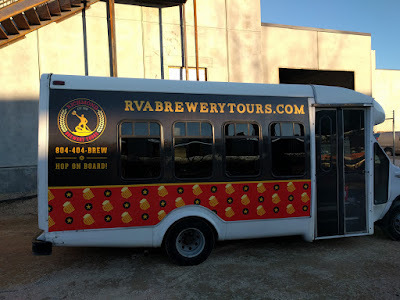 He stated that there are currently over 4,000 craft breweries in the United States, only 15 states have 100+ craft breweries (Virginia being one of those). 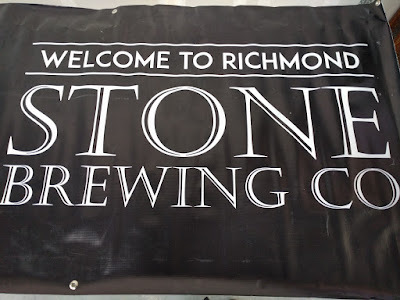 The most impressive statistic was that at full capacity, Stone Brewing Richmond will DOUBLE Virginia's annual output of Craft Beer. 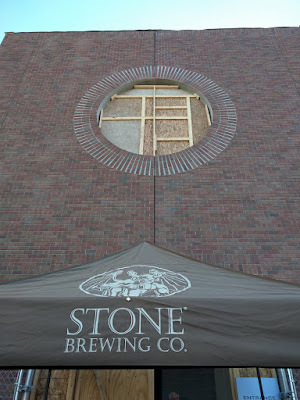 All signs are still pointing to Stone being on track to start brewing shortly after the first of the year. Once at full speed, the bottling line will be able to output 60 bottles of beer every minute. 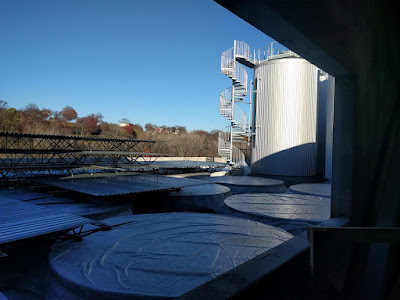 There are currently four massive 1,000 barrel fermenters installed and plans call for another eight for initial brewing. What's most impressive is the final number. 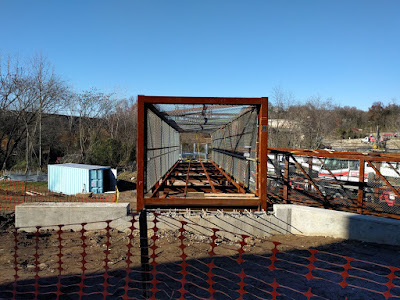 As you may remember from my previous article from Stone's Breakfast Pour event, we watched the concrete foundation being created to hold the massive tanks. Hourigan Construction has created concrete housings for a total of FORTY 1,000 barrel fermenters. The additional unused spaces are currently capped with concrete. 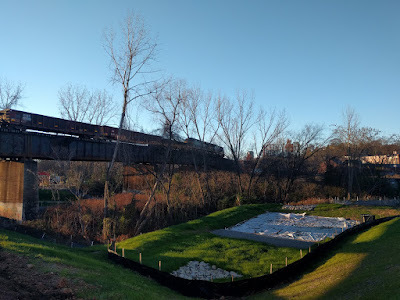 One by one, as needed, more giant fermenters from Europe will be sailed up the James River and delivered to the docks, just across the street from Stone. 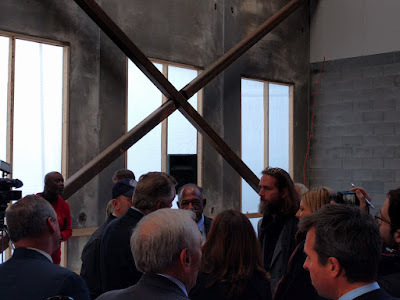 At the beginning of this week, Greg Koch, current CEO and Co-founder of Stone Brewing attended the first pouring of their beer to be brewed in Berlin, marking a major milestone in the American Craft Beer Industry: The first American company to brew in Europe.